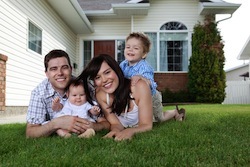 One of the most common reasons to start looking for a new home is the expectation of a growing family. Having a baby can be one of life’s greatest joys. It can also be one of the most expensive. Budgeting for a new baby and a new home can be a challenge, but there are ways to save money. Below you’ll find some of the biggest baby expenses - and how you can potentially cut some costs. Some babies aren’t able to breastfeed for various reasons, while others require specialty formulas for allergies. The costs can quickly add up! Ways to save: Try powdered formula, which is cheaper than concentrate. Shop at Costco or Sam’s Club to buy in bulk, and make sure you sign up for coupons from manufacturers’ websites. Diapers come in so many brands and vary in price, depending on where you purchase them. Ways to save: Go green and use cloth. Not only is it more environmentally-savvy, it will save you some big money. And, these days, you can find patterned choices to individualize your baby's style. When parents choose to cloth diaper, there's a lot to learn. Modern cloth diapers are nothing like the old ones used a generation ago and you have to be informed about how to wash and care for them in order to protect the materials. That's why a full-service store comes in handy. Toasty Baby is the only store in the Indianapolis area that specializes entirely in cloth diapering. In addition to their small brick and mortar store and extensive website, Toasty Baby also offers plenty of support. They offer free evening informative classes for parents new to cloth diapering. If you want to stick with disposable, the best way to save is to buy in bulk. Again, sign up at Costco or Sam’s if you haven’t already. Shop strategically during sales, and remember to sign up for those coupons. Childcare can definitely be costly, whether a parent is choosing to stay at home or you opt for some outside help. Either way, it’s not an area where you will want to skimp. Ways to save: Consider asking a relative or friend to watch your child(ren). Nanny sharing or home day care centers can save you money. For occasional help, trade time with a trusted neighbor or friend. It’s no surprise that babies require a lot of “stuff” - from car seats to pack and plays, strollers and bouncy seats. It all adds up. Ways to save: Create a registry so family and friends can help with big purchases. Start with the necessities, then go from there. Shop at second hand baby stores like Once Upon a Child, which has four locations in Indianapolis and one in Carmel. Also try Craigslist and garage sales. Try to borrow a friend’s play center or swing to see if it’s a hit with your child before you buy. It can be easy to splurge on adorable outfits for your little one, but those cute onesies and booties can only be worn for a few weeks when they’re growing like weeds. Ways to save: Shower gifts can often keep your child clothed for the first few months. After that, shop consignment stores, Craigslist, and garage sales. You can also ask for hand-me-downs from friends. Sign up for coupons, and shop sales. And stain stick will become your best friend for trying to salvage your little one’s soiled clothes. From squashed carrots to creamed peas, jars of baby food can certainly add up. Ways to save: Make your own! You can find great recipes online for whipping up your own baby food. What is the family eating for dinner that could be made baby-friendly in the food processor? If you choose to purchase jars, clip coupons. If you’re clipping coupons, shopping consignment/garage sales, and using hand-me-downs from friends, not only will you save money, but Junior won’t go without.